Cleansing is always the first and one of the most important steps in my daily skin care regime, and the part of facials that I most enjoy. Call me creepy, but I seriously love having my face washed - true story! But on a serious note, did you know that when skin is not thoroughly cleansed, lines and dullness around the eyes or mouth can start to surface? And that unremoved makeup on the skin can also reportedly increase the appearance of pigmentation? In addition, proper cleansing also increases the effectiveness of products applied afterwards, so choosing the right one is essential. 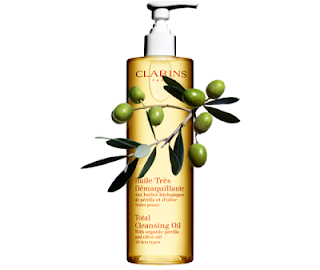 The latest formula I’ve fallen in love with is Clarins’ Total Cleansing Oil, a high performance cleanser that eliminates even the most resistant makeup and is enriched with a combination of two 100 per cent organic plant oils – perilla oil and olive oil. Perilla oil (Perilla ocymoides), originating from Asia, is known in Japan as “shiso”. It has long been used for its aromatic properties and the medicinal benefits of the oil extracted from its seeds. It has one of the highest levels of omega 3 - essential fatty acids the body is unable to synthesise - and is known for its capacity to soothe skin irritation. Add to that the properties of olive oil, which in Ancient Greece was a forerunner of soap and used for a long time as an essential cleansing product, as well as a special ointment. It has widely recognized antioxidant and anti-dehydrating properties too. 1. Dispense 2-3 pumps of oil in the palms of the hands, then delicately apply to the face and neck. 2. Position the palms of the hands over the middle of the face. Then move out to the sides, 1cm at a time, lifting hands briskly off the face. This movement traps make-up and impurities and dissolves them, without irritating or pulling the skin. Repeat this twice on each area of the face. 3. Take a little water in the hands and move them over the face with light circular motions. This relaxes the features while the subtle aromatic notes of Total Cleansing Oil add to the sensation of relaxation. Rinse thoroughly with water. This little wonder hits counters on August 26, with a - very reasonable I think - RRP of $49.00. Try it - I reckon you’ll love it. A lot of skincare products come with the claim of being a ‘secret weapon against ageing’, but often with not that much in the way of science to back the claim up. Releases have Murad have that and then some though, and their newest kid on the block is here to make some serious change to the deeper wrinkles amongst us. Wrinkles is a triple-action wrinkle-fighting formula that will do its darnedest to wind the clock back. It features a unique Time-Release System that delivers powerful doses of Vitamin A and Retinol far beneath the skin’s surface, where it is then stored and released as the skin needs it - softening and smoothing skin by increasing cell turnover to visibly reduce the appearance of deep wrinkles. The luxe multi-action formula also plumps skin to decrease wrinkle volume, while rebuilding damaged collagen so your skin is noticeably smoother and soft to the touch. Amazingly due to its potency, it is suitable for all skin types, and applied to affected areas before you slap on your daily moisturiser and SPF. Those with more sensitive skin may want to restrict their use of this little marvel to the evenings, as Vitamin A can be sun sensitive, and the tube cleverly includes an antibacterial precision control tip, which allows the Retinol to micro-target serious creases like stubborn crow’s feet so it only goes where you really need it. Very cool. 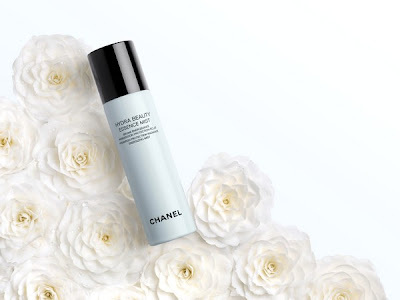 Chanel’s Hydra Beauty skincare range is all about natural hydration and protection, so your skin can recognise when it needs a little extra TLC and use its own resources to quench its thirst and protect itself. Its star ingredients are an exclusive little marvel extracted from the Camellia and an active principle extracted from Blue Ginger, which work together to preserve moisture levels at the heart of the cells and boost the skin’s own self-defense system. Add to that vitamins C and E for an energy boost, and one of the most delicious scents I’ve encountered in a while. The end result? Hydrated and beautifully plump skin, and a sensorial treat to boot. One of the newest additions to the range is the Hydra Beauty Essence Mist, which now has a permanent place in my handbag and really does travel everywhere with me. Airy light, subtly fruity and extremely fine, it is the perfect boost for skin at any time of day - including over your regular skincare pre-makeup - and feels like an absolute treat to apply. Spritz the vitamin C- and E-infused mix onto skin before applying foundation to create a smooth, hydrated base, or mist it over makeup for a refreshing pick-me-up whenever you need it. I’m finding that it’s a great pick for when you’ve done time next to a heater or in air conditioning, or after heading out into the cold for a while when that ‘tight’ feeling hits. The 50ml spray will be on counter June 30 too, just in time for winter! Allure voted it one of the top six products to steal from your children and I wholeheartedly agree - Yes To Baby Carrots Shampoo + Body wash makes bath time that much more delicious and it’s a true beauty steal at $12.99 for 300ml. The airy foam not only feels beautiful on the skin - and my four year old loves it -but is jam packed with gentle, moisturising ingredients and none of the nasties. It’s 100 per cent natural, tear-free and hypoallergenic, as well as joyfully petroleum, SLS and paraben free too. The great stuff in there includes organic carrots, which are rich in beta carotene - a natural form of vitamin A. The anti-oxidant properties of carrots help protect tender, sensitive skin from external effects whilst vitamin E is in there to provide a protective anti-oxidant for skin that softens and moisturises. Last up, there’s melon - high in vitamins C and A - to help heal, nourish, and soothe. 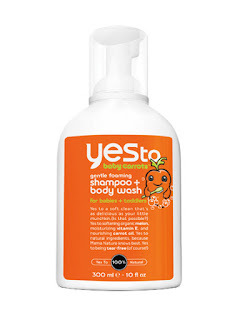 The Yes To is brand still relatively new to the New Zealand and Australian market but breaking all sorts of records internationally. Products from the San Francisco-based company won awards from names as diverse as PETA and Allure magazine – and with good reason - so if you haven’t tried it pick some up next time you’re cruising the supermarket aisles, you won’t be disappointed. 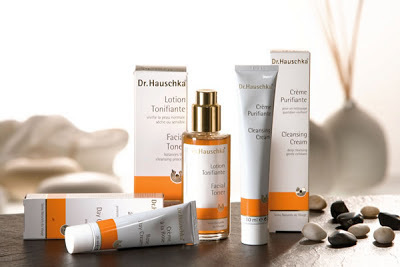 Not just a treat for the skin but an energy shifting experience, my recent trip to experience a Dr. Hauschka Signature Classic Facial was pure heaven on earth - and then some. The venue was boutique Ellerslie clinic Beauty With Substance, where Hauschka trainer Jose Kakebeeke works from a serene space at the front of her home. Jose is an absolute joy to spend time with and a fountain of knowledge when it comes to all things skin and wellbeing, and I love her less-commercial approach to beauty and skincare. The method and philosophy behind Dr Hauschka is much more holistic than many of its peers and Beauty With Substance proudly echo and support this. Jose has thirty years experience in the beauty therapy industry, becoming a qualified Hauschka esthetician in 1988 and studying at the home of the Hauschka remedies, the WALA complex in Southern Germany. After coming to New Zealand she was appointed New Zealand-wide trainer of all Hauschka beauty therapists in 1998, and ten years later she accepted the same prestigious position for Australian therapists. She knows her stuff and it most definitely shows, from the minute you walk through her door you feel like you’ve entered a much more caring world, and one that’s awash in beautiful smells. But back to the Signature Classic Facial, which begins with a scented footbath and then lower leg and arm massage using the brand’s beautiful Moor Lavender body oil. The latter takes place on Jose’s Hauschka-designed bed, which is up there with the most comfortable spots I have ever experienced a facial. 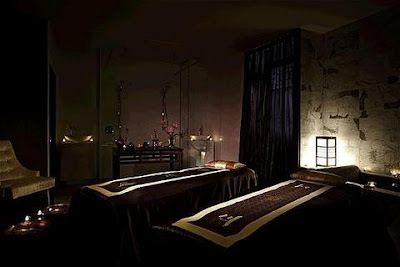 It can be adjusted to suit each and every person who lies in it, and is the ideal place to snuggle down and get pamper. The approximately 90-minute treatment is all about deep relaxation and leaves you feeling suffused with warmth, lightness, and inner balance. It is not only a luxurious treatment but preventative healthcare too, and my nine hours’ of undisturbed sleep that night were testament to its powers! Lymph stimulation is at the heart of the treatment, performed across the face, neck and décolleté with fine brushes and gentle hand movements. This stimulates the fluid flow in the connective tissue, removes congestion and waste, and strengthens the immune system. The end result for me was soft, plump and happy skin along with an incredible sense of wellbeing that lasted for several days. In an ideal world I’d be tucked up having one of these every week, but even just one made a real difference to my skin and my week. Highly recommended! For more about Jose and the Hauschka way click here. 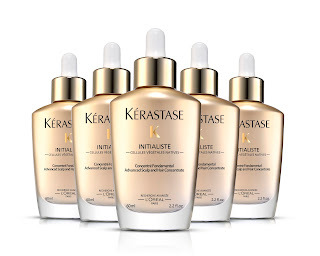 The Kérastase brand has been synonymous with extraordinarily good hair as long as I can remember - twenty-five years ago they created the first hair mask - and for creating seriously transformative products that you never knew you needed but soon could not live without. 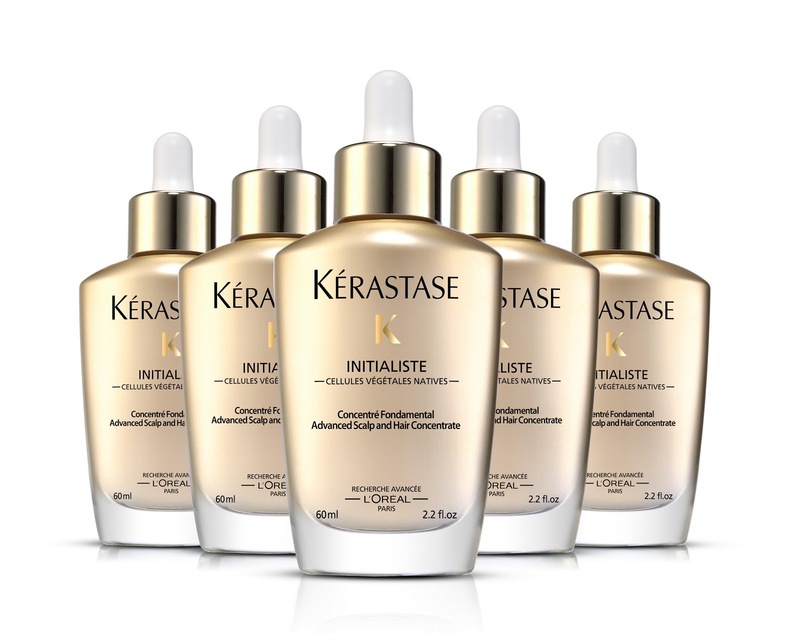 Initialiste is their latest and greatest, the first Kérastase serum based on native plant stem cells that “acts from the birth of the hair, enabling it to grow stronger, brighter and more beautiful than ever”. It sounded pretty damn good to me, so when I was given a bottle to use almost a month ago I got straight to it, applying it religiously to my roots every wash and waiting for the magic to unfold. Its work is inspired by skincare, in particular the work around stem cells and the key role they play in repair and regeneration. After 24 years of research, L’Oréal Advanced Research uncovered the essential role of skin and hair stem cells in hair regeneration, and the existence of two reservoirs of stem cells in the outer sheath of the hair follicle. Researchers identified the crucial role played by the microenvironment of stem cells in ensuring fibre quality, and a healthy environment supports the capacity of the hair follicle to grow and produce beautiful hair. Makes sense! At the heart of Initialiste then is the Regenerative Complex, which protects the stem cell environment, improving the hair quality at its source. The clever formula includes the like of native plant cells taken from Malus Domestica, a species of apple, antioxidant polyphenols to protect the stem cells’ environment from oxidative stress and a Glucolipid that acts on the external hair sheath, where the two stem cells’ reservoirs are. The lipid component consolidates the structure of the follicle’s external sheath, whilst the “Gluco” component is an energy reserve that enhances the cell metabolism and enables rapid hair growth. But enough with the science already - does it work? With regular use, absolutely. It made my hair feel stronger before I knew it and thicker and healthier-feeling by a month’s end. It also smells amazing, and as it’s a serum has zero greasy after feel. Initialiste has an RRP of $70.00 for 60ml, which lasted me just a couple of washes over a month. It’s an investment sure, but no more so than a skincare product and if you really want to improve the state of your locks it comes high recommended. ghd might be embroiled in a dispute with its former celebrity 'face/mane' Katy Perry, but a good hair day is most definitely on the cards when it comes to their new partnership with the legendary Sam McKnight. 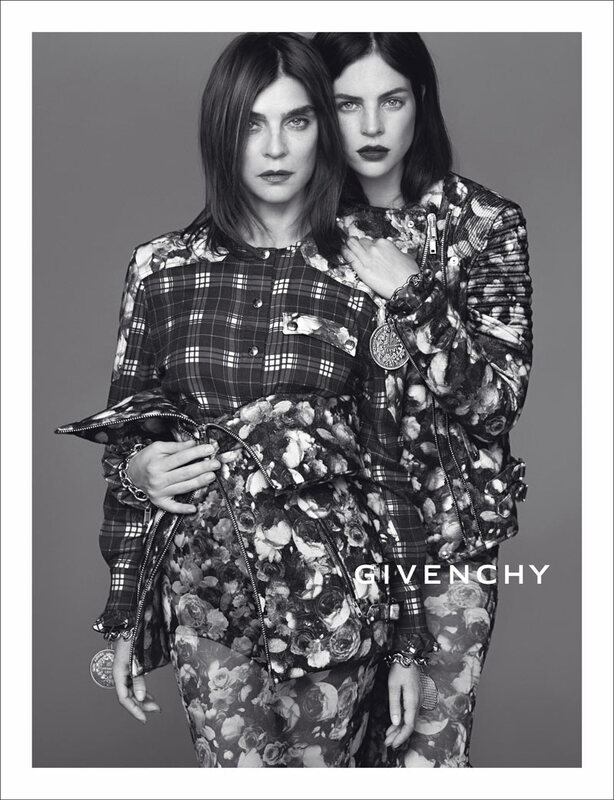 The seriously fabulous British hair stylist - a regular contributor to the likes of British Vogue, LOVE magazine and CR Fashion Book - says he’s always the loved the brand and it appears that the feeling is mutual. “A ghd styler has been an essential in my kit bag for many years," says McKnight, whose first project is based around the amazing new Eclipse styler that I had an extended rave about a couple of months ago. McKnight teamed up with revered photographer Rankin to bring to life just what the Eclipse is capable of on the hair of Dutch-born model Milou Sluis. It features the evolution of texture through five images of Milou and a very cool short film, with the key message “greatness comes to those who create”. McKnight now has the title of ghd’s Global Creative Director, and I for one cannot wait to see what he and the team come up with next. Earlier this year the always-fabulous MOR Cosmetics launched their Correspondence collection with a beautifully wrapped - almost too pretty to UNwrap - soap available in nine delicious fragrances. Now joining it is an equally covetable, lusciously formulated Argan Oil Hand Cream, which I lathered on early this morning and am already ridiculously in love with. The packaging echoes an era when a delicately wrapped parcel was the only method of communication, and it makes a perfect partner for the soap, which comes in a similar state of dress. Kashmir Petals: with Bergamot, Orchid and Magnolia Blossom layered upon the woody note of Sandalwood and Geranium. Ginseng Mint: with Basil Flower in Sparkling Yuzu and Bergamot. Sencha VerbEna with Lemongrass and Eucalyptus, Clementine and Meyer Lemon. 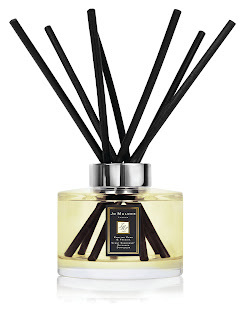 Pepperberry Cardamon: with Oriental woods and Cranberry. Masala Tea: with Bergamot and Cinnamon Bark, Tonka Bean and aromatic Coffee Beans. Cyclamen Tuberose: with Gardenia, Jasmine Petal and a hint of Pineapple. Tangelo Grapefruit: with Jasmine Sambac and Mediterranean Saffron. Bluebell Fields: with Jasmine Petals and warm Sea Amber, Bergamot and Mandarin. I have one of each of the above to giveaway, along with a triple-milled soap from the MOR Correspondence Soap Bar Collection in the same fragrance - gorgeous! 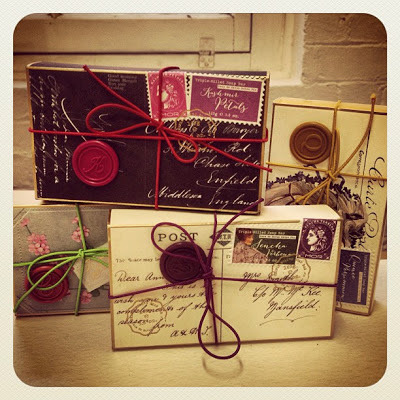 Email me helene@mshelene.com with your name and courier address before 5pm on Thursday, May 30 and you’re in the draw! If you’re anything like me, it’s about this time of year that you start thinking of a tropical escape… but with none forthcoming just at the moment it’s all about the challenge of creating that beachy, tropical island feel at home. With the heater on, high. So you want the beach in a bottle? The closest I have found is the work of Estée Lauder, who around this time each year release a limited edition Summer fragrance - with the Northern Hemisphere in mind - under the Bronze Goddess moniker. This year it is the absolutely divine Eau Fraiche Skinscent, which is described as being inspired by the "warmth of the Mediterranean, a citrus floral blend with notes of Bergamot and Orange Blossom", to which I say - BRING IT ON. With Top Notes like Sicilian Citron, Calabrese Bergamot and Blood Orange and Middle Notes like Neroli from Tunisia and Indian Sambac it is a little bit spicy, a little bit fresh and ALL summer. I love it. It’s part of the Bronze Goddess 2013 Collection available at Estée Lauder counters right now, so if you’re in the mood for a getaway but haven’t quite booked the ticket yet, this - along with the bronzer of the same name - is the next best thing. Sitting down for lunch with D&M salon Creative Director and co-founder Danny Pato can seriously take hours - he is just so amazingly passionate about hair, and his enthusiasm is seriously infectious. To hear him wax lyrical about all things hair, beauty, fashion and pop culture is a real treat, so when I got the chance to sit down at chat with him at Dizengoff café one wet and windy Monday we chatted about all of the above and plenty more. Nomad marks the second collaboration between Danny and photographer Mara Sommer, who brings another culture to the mix with her Germanic heritage. 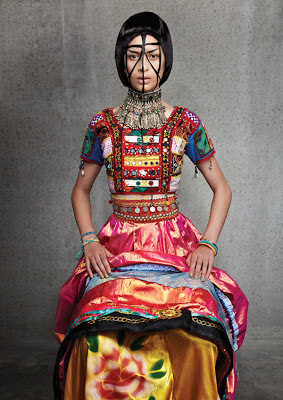 He started by concentrating on colour and texture, sourcing fabrics and imagery from all four corners of the globe. He says the collection was always going to be bigger than “just hair, as I wanted to say so much more and present a whole creative package”. He also became involved in the development of the collection more than ever before, taking time to research and draw the shapes of every image until he felt that he had every element exactly right. The multi award-winning hair expert also became a key stylist for the collection, extending his hand from hair to clothing, accessories and composition. In three months’ time D&M will be releasing Nomad Part II, which will be an extension to the collection and even more cause for excitement. A short film directed by Garth Badger will appear then too, showcasing the huge amount of work behind the scenes that contributed to such a special result. Whilst many of you out there reach for a probiotic to address nasties like bloating and cramping and others like me take them for eczema, having a healthy gut could be more important to our general wellbeing than it’s ever been given credit for. Probiotics are in my humble opinion essential to wellbeing, so it was great to hear that being backed up by science, which has now ascertained that the gut and the beneficial bacteria that inhabit it play a critical role in immune function. In fact, about 80 per cent of immune function starts in the gut, so there has never been a better time to increase your friendly bacteria than now when the flu season is well and truly about to hit. Supplementing a half decent diet with a probiotic can have an amazing effect, and one of the latest to cross my desk is Radiance Pro-B Immune, which helps promote healthy microflora in the gut and support the body’s natural immunity through the colder months to combat ills and chills. It’s a four-strain formula that contains 4.5 billion colony forming units (live bacteria) in a shelf-stable form meaning no refrigeration is required, and unlike many of its peers you only need to pop one a day. Too easy! 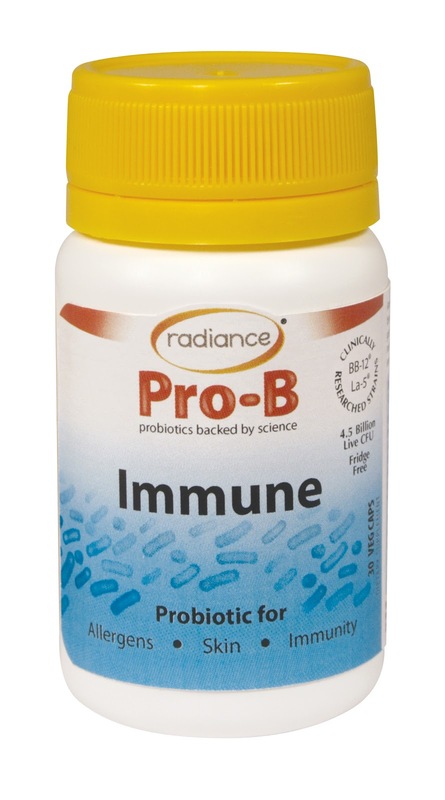 Radiance Pro-B Immune is in store now at $28.90 for 30 capsules. Following on from its ever-popular home fragrances Red Roses, Pomegranate Noir and Lime Basil & Mandarin, cult British beauty brand - and makers of all things heavenly and desirable - Jo Malone has just launched a new addition to its home collection, featuring the fruity scent of English pears and freesias. The English Pear & Freesia collection is in my humble opinion just the perfect match for Autumn, warm but still fresh and in Master Perfumer Christine Nagel’s words: “like just-ripe pears wrapped in a bouquet of white freesias, and mellowed by amber, patchouli and woods. Luscious and golden.” In other words: delectable, and destined to be a huge hit with lovers of the brand. 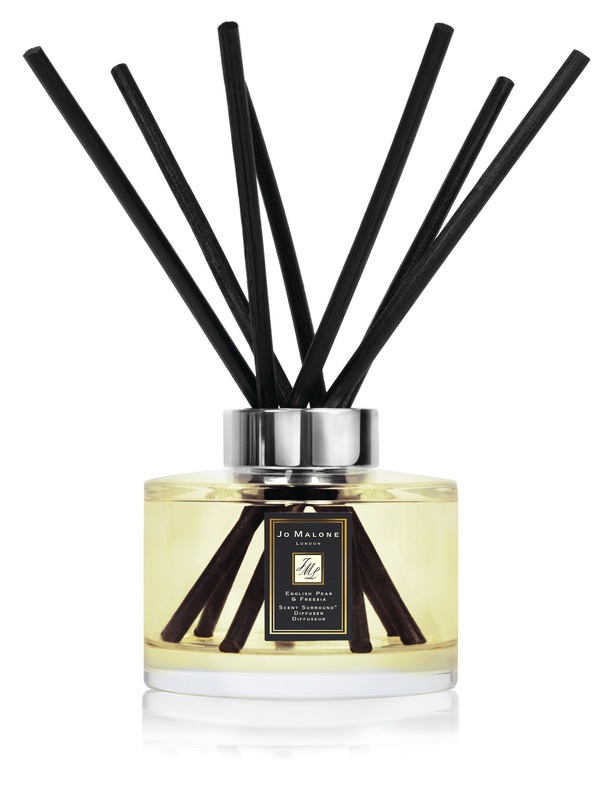 This new line consists of a selection of scent-surround products, including a diffuser, room spray, home candles and drawer liners. Also on offer are two limited-edition products: scent-surround sachets and scent-surround coat hangers, an idea that I think is absolutely brilliant. 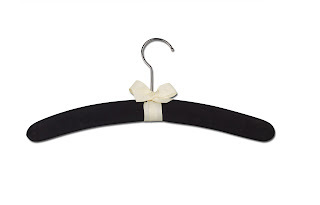 I’m a freak for a beautifully made, softly cushioned hangers for my more precious garments, and to have them delicately scented with English Pear & Freesia is an added bonus. Just heavenly and in store now. I don’t need any excuse to give props to New Zealand natural skincare company Trilogy, who were one of the first off the block and are still creating beautiful new products today. They are also consistently affordable too, giving those with smaller budgets the chance to get super charged formulas as easily as the next woman. Their latest release is the new Rosapene Night Cream, a beautiful little pot of goodness formulated with a skin-loving blend of potent botanical actives that work with your skin’s natural process of regeneration as you sleep. 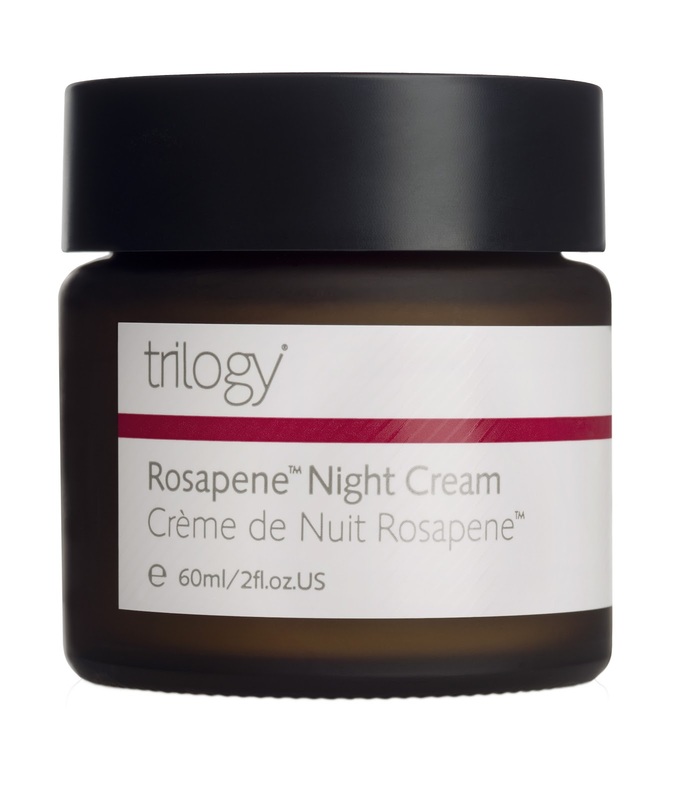 High performance doesn’t usually come with a price tag of under $55.00 a pop but this certainly does, and it’s enriched with Trilogy’s own antioxidant complex called Rosapene. This certified organic blend of repairing rosehip oil and super antioxidants includes lycopene from tomato and phytosterol from acai berry to fend off the aggressions of the day. For further intensive nourishment, they have thrown in multi-vitamin goji berry extract to aid regeneration while mineral-rich manuka honey and avocado oil work together to hydrate, repair and nourish. It’s perfect for all skin types and feels like heaven on the skin, as well as coming with the familiar signature Trilogy fragrance of frankincense, rose and geranium. Delicious. Trilogy Rosapene Night Cream is in store now with an RRP of $54.90 for a 60ml jar. Anyone that regular sees me knows that I’m a shameless freak for coconut water, and my addiction of choice is C Coconut Water, which I believe to be the finest on the block. You can read about why on their website - and on a multitude of quality blogs - and I have raved extensively about them in the past with very good reason. I regularly give their recipe ideas a bash, and with the colder weather coming had to share this one - a definite warmer upper and a joy to sip, with a lot less of the guilt! In a small, heavy saucepan, heat the C Coconut Water and dark chocolate over medium heat. Sift in the cocoa, stirring constanttly, until the mixture comes to a simmer, about 5 minutes. Divide the hot chocolate among 4 mugs and top with the marshmallows, which keep it creamy without the dairy. SO good! You can get C in Auckland at Farro stores and selected retailers and now online here. I recently had the gel colour removed from my toes and ever since have been a bit mad with the nail polish brush, changing colours almost as fast as I change clothes. Needless to say, I’ve been getting excited about all of the possibilities out there, and have fallen in love with the new Pure Color Nail Lacquer collection by Estée Lauder and Creative Makeup Director, Tom Pecheux. It’s both feminine and sharp (see the beautiful Bête Noir, above) and full of shades that will fit right into the upcoming winter months’ palette just fine. The new Pure Color Nail Lacquer Collection is on counter now, with an RRP of NZD$32.00. Obsessive about oiling your cuticles like me, or in dire need of starting? Meet your newest beauty ‘pen friend’ in the form of Leighton Denny’s Slick Tips Touch & Go Nail Rescue pen - hands down (no pun intended) the biggest saviour for nails that I have met in a while. Perfectly packaged in a wind-up pen that will be familiar to users of the likes of Touche Eclat, Slick Tips is what buff daddy Denny calls “nail magic”. Just a few clicks and slicks and dry, rough looking cuticles immediately look moisturised, whilst you’ll notice fast that it works on your nails too thanks to a vitamin rich nail reviver included in the formula. Containing vitamins E and A along with jojoba, sweet almond and castor oils to moisturise your cuticles, this little baby is also scented with lemongrass, peppermint and litsea cubeba essential oils so application is a treat. You can use it on natural nails or gels, and apparently it can also be painted over touch dry polish to help accelerate drying time, something I haven’t tried just yet but am very keen to. The UK-born celebrity manicurist and creator of some damn fine nail and hand treatment products really knows his stuff, and this is an absolute joy to use. It’s the only cuticle oil I’ve used that can be slicked on in the morning and keeps nails looking good all day, and the portability of the pen is just magic. Love it. I thought the buzz may have died down of late, but it looks like the BB Cream market in the West isn’t slowing down this year with major brands releasing their version of the overnight beauty must have. 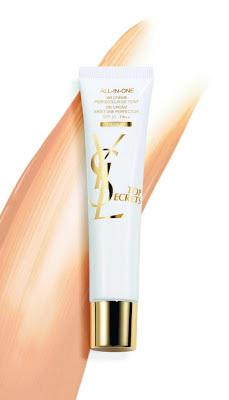 The latest to cross my desk is the work of the wonderful YSL, and what a wonder it is! The fact that YSL launched a BB cream over a year after many other brands jumped on the beauty wagon threw me a little, but now it all becomes clear… After giving it some thought I’ve decided that YSL have just been biding their time; watching and waiting to wave their magic wand so they could see what they could do to make theirs one of the best BB creams yet and knock almost every other version out of the ballpark - and then some. Containing Lily of the Valley to hydrate the skin, Vitamin C to brighten and correct any imperfections, plus Rose de Mai extract to soften and stop free radical damage, the ultra light formula offers a multitude of actions to benefit to your skin: correction, uniformity, moisturisation, radiance and protection. Phew! Available in three shades internationally and two in New Zealand with an SPF of 20 and UV filters, this - like most BB creams - has been designed to adapt to many skin tones, although the Medium I’ve been using seems to be especially good for olive skin like mine that can look sallow and want a real lift. The Clear option is great for all skins, just adding a boost of luminosity where you need it and ideal for using before you pop on your foundation. For a natural weekend look use either option alone with a little concealer, and always start by warming a small amount of the product between your hands before spreading it as much as possible to blend perfectly. Beautiful! My earliest memories of applying lip balm all involve taste and smell, usually of the Bonnie Bell, cherry-tastic variety! As I’ve got older I’ve moved more towards the organic, or at least all natural versions, which are usually at a more premium price and often without the sensorial benefits. to merge these two extremes. Their line of handmade lip balms has everything I’ve grown to love about the more earnest, expensive expensive brands - fair trade, raw and organic ingredients - along with the affordable price and delish scents of my old school favorites…. it's never been easier or cheaper to get the best of both worlds. Hurraw! to that! The creators of Hurraw! started with a personal obsession to create the perfect balm: all natural, vegan, made from premium raw, organic and fair trade ingredients... complete with a bunch of natural and fun flavour options. It also had to meet some tough criteria i.e. “super smooth, not draggy, not sticky, not sweet, not too glossy, not too smelly, never grainy, long lasting”, and it had to hold up to being in a back jeans pocket all day without melting! 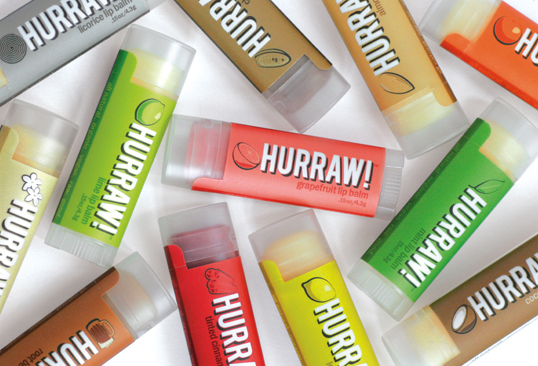 After several years they came up with the little charmer that I carry obsessively now, and still individually pour each tube of Hurraw! Balm in their own facility. They have worked hard to source honest, fair trade, organic, vegan and raw ingredients from reputable suppliers and say they are “thrilled to share the labours of our hard work with other balm lovin' individuals”. How nice is that? A couple of weeks ago I went for a facial and received one hell of a compliment on my makeup in the form of the comment, “oh my god you are wearing foundation? I thought you jut had incredible skin”. This is most definitely the kind of reaction I am looking for when I go shopping for a new base as by day I’m fond the ‘no makeup, makeup’ look and like to look just like me - but a hell of a lot better! 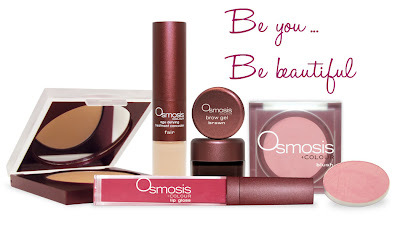 One of my latest discoveries - and one that I’ve fallen in love with for a variety of reasons - is Osmosis Colour, the makeup collection created by the team behind Osmosis skincare. It’s a mineral-based collection, and to say that I’ve tried every mineral formula available would be an understatement, usually with mixed results. This collection however is a winner - virtually seamless with seriously natural looking coverage that never looks heavy or powdery or oxidizes as the day goes on, and packed with ingredients like Goji Berry and antioxidants to care for your skin as well as making it appear near flawless. Add to that zinc oxide for its soothing benefits and UV protection and the fact that pressed base foundations, eye shadow trios, and blushes come in refillable compacts and you have a serious contender for one of the best ranges out there. The Bismuth-free Pressed Base is a great place to start if you want to dabble in Osmosis as it was formulated for all skin types and is pretty much foolproof to apply. Natural broad-spectrum UV protection keeps the skin protected from both UVA and UVB rays, and the semi-matte finish suits everyone I know, and it can be layered as needed. You can follow application with the brand’s Mineral Hydration Mist to set it for long lasting wear too, and swipe on their impressive Age Defying Treatment Concealer, which is essentially a concealer and moisture stick in one. The moisture stick hydrates and plumps to soften lines and wrinkles around eye area and lips, whilst the concealer covers dark circles, pigmentation and redness on face and body. To make eye shadow applications last all day, you can also use Age Defying Treatment Concealer as a primer for the eyelids - magic! One of the first beauty products I seriously invested in over twenty years ago (!) 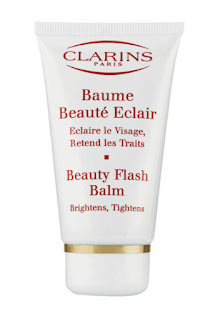 was a tube of Clarins’s famous Beauty Flash Balm. It was a winner then and it’s a winner now, so I thought it was time to give a little love back by singing its wondrous praises! 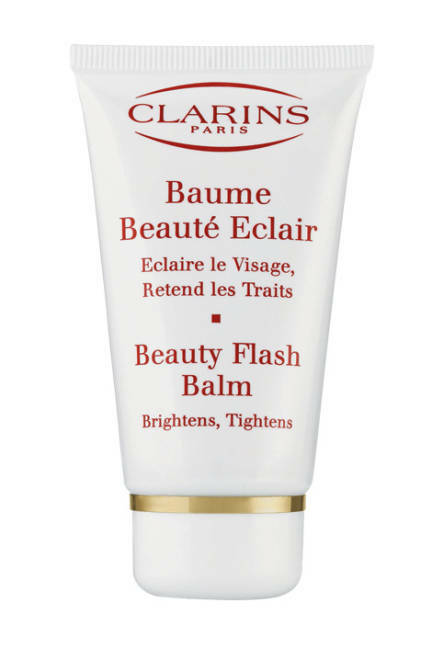 For anyone that has never used it, Beauty Flash Balm is a beauty booster - much loved by makeup artists in particular - that pretty much eliminates all signs of fatigue and that general look of being a tad worn out. It’s just the thing for a quick "pick-me-up" after a late night on the tiles or for a boost before an evening out, and comes in the form of a non-oily, lightweight balm that packs major punch. In the formula you’ll find the gentle skin-tightening benefits of Olive Extract and Witch Hazel to diminish the appearance of fine lines before you know it, and skin actually feels firmer and softer to the touch courtesy of Bisabolol, which is soothing and softening. It’s also perfect for pretty much any skin type, and was every smart woman’s primer of choice before we even knew they existed! You can use it in a variety of ways depending on your skin type and needs, such as straight after cleansing in gentle, sweeping movements (don’t rub it in) all over the face and neck, or after moisturiser if your skin is on the dry side. For a super boost of the good stuff a couple of times a week of after something like a plane flight, after cleansing apply a thick layer of Beauty Flash Balm and leave on for 10-15 minutes before gently tissuing off the excess. Pure magic! It was fortuitous that the Element of the Day was Earth when I visited the Chuan Spa at the Langham Auckland to try their brand new Heavenly Jing Luo Foot Treatment. Earth targets those who are anxious or stressed, so was perfectly in line with the way - tragically - that I’ve been feeling of late. The Heavenly Jing Luo treatment was unleashed globally on May 1, so I was pretty excited about having the chance to give it a whirl. I also absolutely adore foot massages, reflexology and the like, and the Auckland Chuan is always on my list of ‘happy places’ and has been since it opened its doors. The experience began with a warm foot bath, which was the perfect to way to ease into the treatment as the weather outside the doors of the spa was cold with sleeting rain and the greyest skies that Auckland had experience in a while. I straight away felt the tension melting away, and by the time I was asked to hop up on a warm bed I was more than ready for the bliss to begin. Prior to the treatment commencing, the therapist placed a herbal stone thermal bag on my lower back to warm the body and facilitate the healing process, and an eye bag across my face to slow the senses. My feet were then be wrapped with a TCM herbal mask that consists of ai ye (herbal medicine for conditioning the liver, spleen and kidney channels) and mineral salt. The mask not only regulates the liver and kidney channels, but also relieves rigidity of the muscles, stimulates the circulation of qi and blood along the meridian channels, and nourishes the skin and detoxifies the body. Phew! Next up the massage began and I swear I fell almost immediately to sleep - it was pure heaven. Around 60 minutes later I came to and felt like a million bucks, and highly reluctant to leave! But alas, life must go on… and I will be back. The 90 minute Heavenly Jing Luo Foot Treatment is available at Chuan Spa right now and costs $165.00 for an individual or $310.00 for a couple. This year the red carpet at the Met Ball was most definitely a hit and miss-type situation when it came to both fashion and beauty looks, but those that looked good looked seriously amazing. The Metropolitan Museum of Art’s Signature Fashion Event, The Met Ball is watched by millions around the world so it is no wonder that celebrities pull in the big guns to make sure their already-god given looks truly shine. Supermodel mama Miranda Kerr was no exception and had her hair styled exclusively by Los Angeles-based hair stylist David Keough - using Davines - for this year’s big event. 1. While hair is wet, create a deep side part. 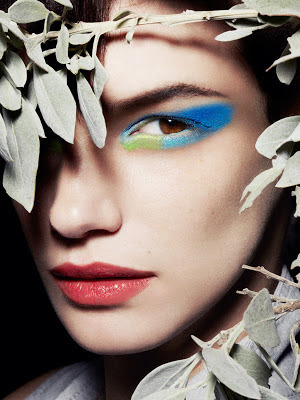 Use Davines For Wizards № 8 Quick Setting Hard Gel throughout the hair to create a solid hold. 2. On the side opposite the direction of the part, create two sections and French braid each section parallel to one another, wrapping them down around the head. Tapering down to the nape, tie them off and tuck them under the rest of the hair. 3. Apply quite a bit of the gel mixed with the Davines For Wizards № 3 Universal Mattering Mousse throughout the rest of the hair as it creates longevity for keeping the looks. 4. Layer with Davines OI/OIL for ultimate shine. 5. With the remaining unbraided hair, blow dry with a round brush. 6. Using a 1-inch curling iron, separate and curl large sections. Pin them up and let hair cool down, while makeup gets done. 7. Pull the hair out and spray roots with a bit of Davines For Wizards № 14 Sea Salt Primer, for a bit of lift and blow dry a touch. 8. Finish off with Davines Defining Invisible Hair Spray to lock the look in.